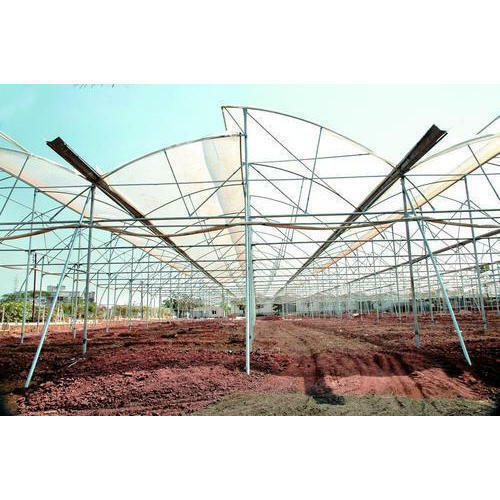 Pioneers in the industry, we offer polyhouse structure and nethouse structure from India. We are leading manufacturer and supplier of Polyhouse Structure to our customers. We use top quality components and modern machines for the manufacturing of these products. 100% Pre-fabricated structure, ready to assemble and easy to re locate. GI-Pipes of more than 350 GSM. Available in the span of 8 m, 9.6 m.
Side ventilation ranges from 4 to 5 m.
Capable of reaching 80% ventilation in the naturally ventilated poly house. Use of 1.6 mm to 2 mm thick gutter with a minimum zinc coating of 275 GSM. Use of Gutter at last bays for better rain water harvesting and reinforcement. Sliding Aluminium double door with UV Stabilized polycarbonate sheet. Well designed aluminum profiles and imported coated springs for locking of plastic. Connectors thickness from 2 mm to 5mm (with electro galvanizing up to 20 microns). The option of Intermediate hockey every 2 m along the gutter length. The option of choosing two sides (Only along the gutter length) or 4 sided hockey. Anti Hail reinforcement above the poly house structure. 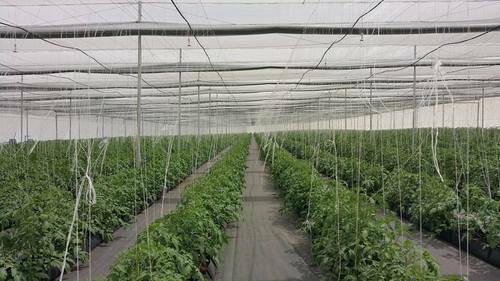 Imported Insect nets on the side, 40 to 50 Mesh, 110 to 120 gsm (+ or -5 gsm) with a warranty of 5 Years. We are leading manufacturer and supplier of Nethouse Structure to our customers. We use top quality components and modern machines for the manufacturing of these products.